Absolutely the best way to learn a new language. What did you like most about Swedish Phase 1, Unit 01-05? 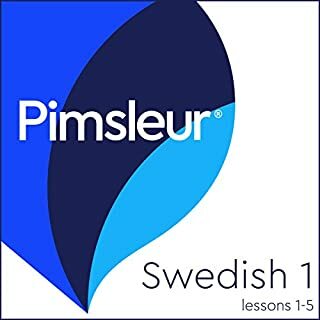 I have tried learning Swedish through Duolingo and Babbel in the past, and even though they have value I think they are much better for someone that can already speak Swedish as they teach you to read and write Swedish more than they teach you to speak it. This teaches you to speak Swedish and the method is very effective. What about Pimsleur’s performance did you like?